London : Aerobic exercise caan significantly help individuals improve the ‘cognitive deficits,’ especially loss of working memory linked with schizophrenia, finds a study. 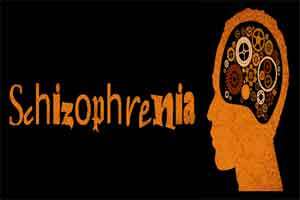 Schizophrenia is a long-term mental health condition and its acute phase is typified by hallucinations and delusions, which are usually treatable with medication. However, current medications for schizophrenia do not treat the cognitive deficits including poor memory, impaired information processing and loss of concentration linked with schizophrenia. “Cognitive deficits are one aspect of schizophrenia which is particularly problematic. They hinder recovery and impact negatively upon people’s ability to function in work and social situations,” said Joseph Firth from the University of Manchester in Britain. The findings showed that nearly 12 weeks of aerobic exercise training can significantly improve patients’ ability to understand social situations, their attention spans and their ‘working memory’ or how much information they can hold in mind at one time. Patients who are treated with aerobic exercise programmes, such as treadmills and exercise bikes, in combination with their medication, will improve their overall brain functioning more than those treated with medications alone. Further, the study also found evidence that programmes which used greater amount of exercise, and those which were most successful for improving fitness, had the greatest effects on cognitive functioning, the researchers said. “The study presents the first large-scale evidence supporting the use of physical exercise to treat the neurocognitive deficits associated with schizophrenia,” Firth added. “Using exercise from the earliest stages of the illness could reduce the likelihood of long term disability, and facilitate full, functional recovery for patients,” Firth said. For the study, published in Schizophrenia Bulletin, the team combined data from 10 independent clinical trials with a total of 385 patients with schizophrenia.